UNNExT Brief No. 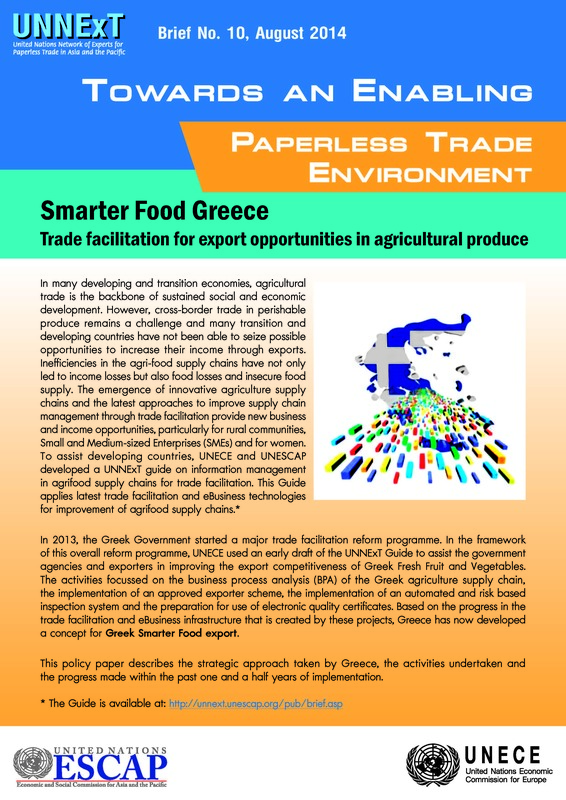 10, Towards an Enabling Environment for Paperless Trade - Smarter Food Greece Trade facilitation for export opportunities in agricultural produce, August 2014. This policy paper describes the strategic approach taken by Greece, the activities undertaken and the progress made within the past one and a half years of implementation.